The Sims 4 hits its all time low at GameStop this week. Hasn't been this cheap in over a month. The average price for this game in the past 6 months is $4.99. The game first became 50% off on Nov 26, 2014 at Origin. Lowest historic price was $4.99 on Mar 4, 2019 at GameStop. The Sims 4 and much of its DLC packs discounted this weekend at GameStop. PC download Origin keys. Some DLC packs are hitting historic lows like City Living and The Vampires pack. The Sims 4 slashed to a mere $15 at Amazon today making a new low by $5. Cheapest it's likely to be this holiday season and 63% off the usual $40. Last year Black Friday the cheapest Sims 4 was $25. Sims 4 is now at its lowest ever price (previous low was $25) thanks to Origin's holiday sale. Sure it might not be a $60 game, but at $20, its a safer bet for The Sims fan that has been on the sideline. Expansion and game pack: Get to Work, Ooutdoor Retreat, and Spa Days are all on sale too. This week Best Buy has The Sims 4 on sale for $39.99... rather than getting sucked into that "deal" there's Origin's PC Download version $4 cheaper. Not quite cheapest ever but a rare 40% discount. Tying its lowest price ever today The Sims 4 is only $29.99 at Origin. Solid discount on the normally sixty dollar game. Not bad timing with last weeks release of the "Get To Work" Sims 4 expansion pack. The average price for this game in the past 6 months is $18.99. The game first became 50% off on Mar 18, 2018 at GameStop. 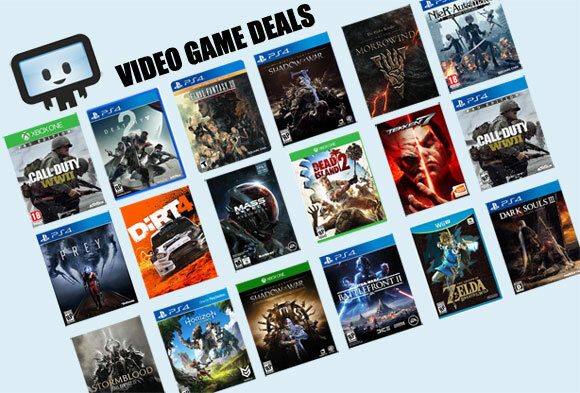 Lowest historic price was $17.99 on Dec 19, 2018 at GameFly. Not even a week old and The Sims 4 for the Xbox One is $20 off at the Microsoft Store. Free shipping in the US. Oddly the Deluxe Party Edition is not on sale, only the standard. The average price for this game in the past 6 months is $15.99. The game first became 50% off on Feb 21, 2018 at PlayStation Store. Lowest historic price was $15.99 on Nov 16, 2018 at PlayStation Store. Console gamer looking for a deal on The Sims 4? Today Best Buy has the PS4 and Xbox One down to $30 with free store pickup. The average price for this game since released is $22.39. The game first became 50% off on Jun 10, 2016 at Origin. Lowest historic price was $14.99 on Nov 22, 2016 at Origin. December released The Sims 4 Get Together expansion hits a new low by $8 today at Origin. Twenty bucks off the usual $40. First real discount on The Sims 4: Get Together thanks to new Origin promo code slashing 30% off price tag. Similar discount on Get to Work expansion pack, and game pack Spa Day and Outdoor Retreat. Always a rare deal for the big Sims 4 fans. The average price for this game since released is $27.27. The game first became 50% off on Nov 24, 2015 at Origin. Lowest historic price was $11.97 on Apr 14, 2017 at GameStop. The March 31st released The Sims 4: Get To Work expansion slashed to its all time low of $25 at GamesRocket. Cheapest ever by $5 and $15 off the standard $40 list price. You want a Lamborghini? Sippin' martinis? You better work Sims. The Get to Work expansion pack is now released on Origin. GMG has a 22% discount to $31.20. Best price online from a digitally authorized retailer. I think a lot of Sim fans were disappointed in The Sims 4, but they went out an bought it anyway because of brand loyalty. I don't know if this new expansion will make Sims 4 more palatable, but one thing I do know is a new 23% coupon at GMG is available cutting over nine bucks out of the price. If you're going to pre-order, do it at a discount at least. Just this week details began coming in on the new Sims 4 expansion "Get to Work". Well it seems a little pricey at $39.99, but thankfully GMG has it on their site now w/ a 20% off coupon discount. The average price for this game since released is $40.72. The game first became 50% off on Nov 27, 2014 at Origin. Lowest historic price was $18.74 on Mar 21, 2018 at Origin. First discount seen on The Sims 4 Digital Deluxe Edition. It's an EA Origin exclusive and today dropped ten bucks. In addition to the base game, the Digital Deluxe Ed. includes 3 extra DLC packs and The Sims 4 digital soundtrack. The average price for this game since released is $21.54. The game first became 50% off on Jun 16, 2017 at GameStop. Lowest historic price was $15.99 on Mar 21, 2018 at Origin.